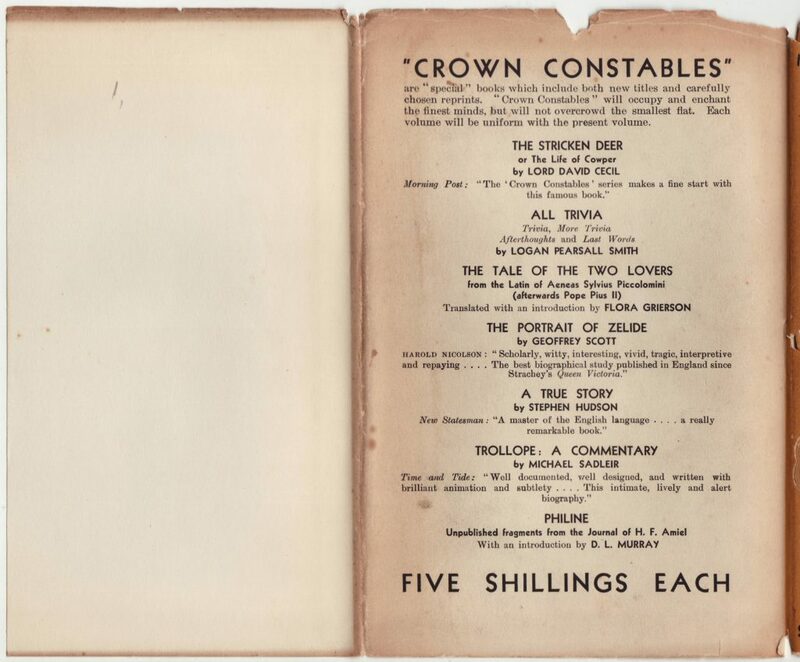 Constable’s Crown Constable series consisted of mostly reprints and a few new publications, issued between 1934 and 1936 and sold until the end of the 1930s. It seems that no more than 12 titles were issued. 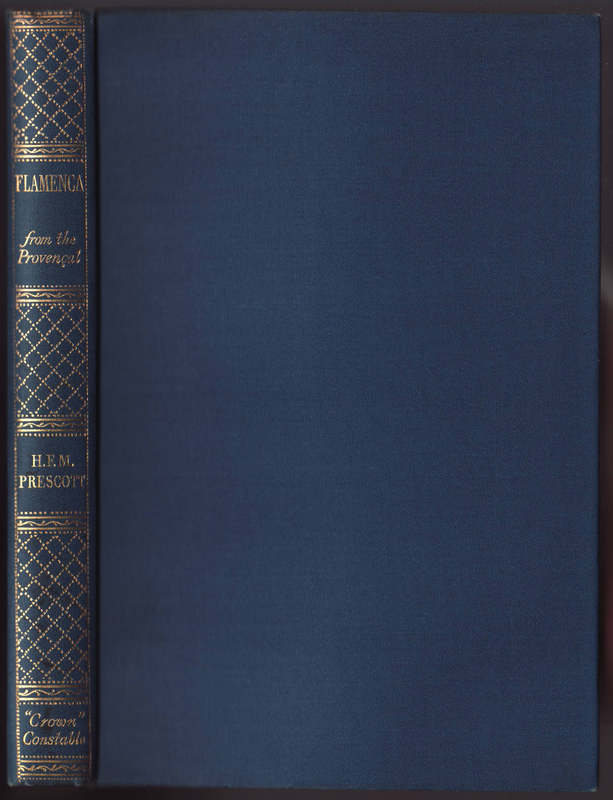 The jackets are common to the series, with a large colophon for the series dominating the front of the jacket. Jacket colors varied (orange, green, red). 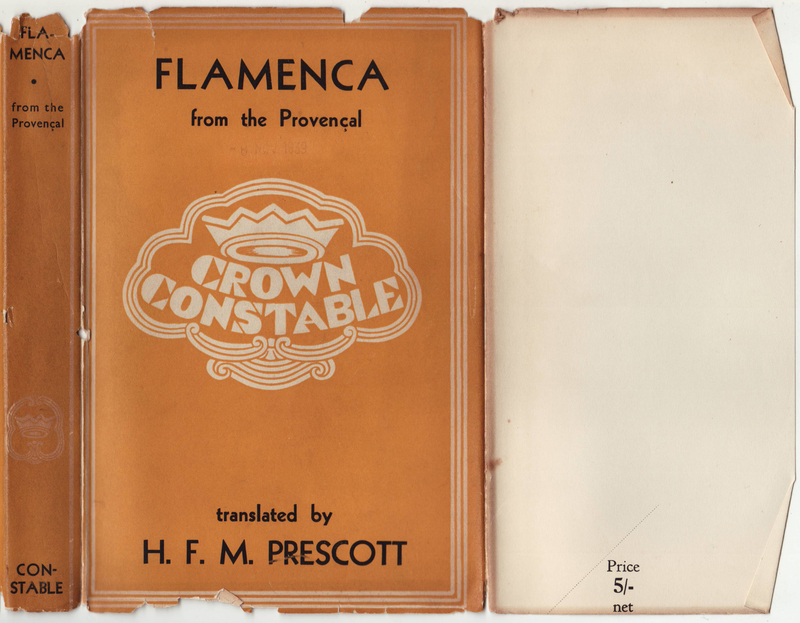 This copy of Flamenca, attributed to Bernardet the Troubadour and translated from the Provencal by H.F.M. Prescott was first published in the series in 1933, after initially being published by Constable in 1930. 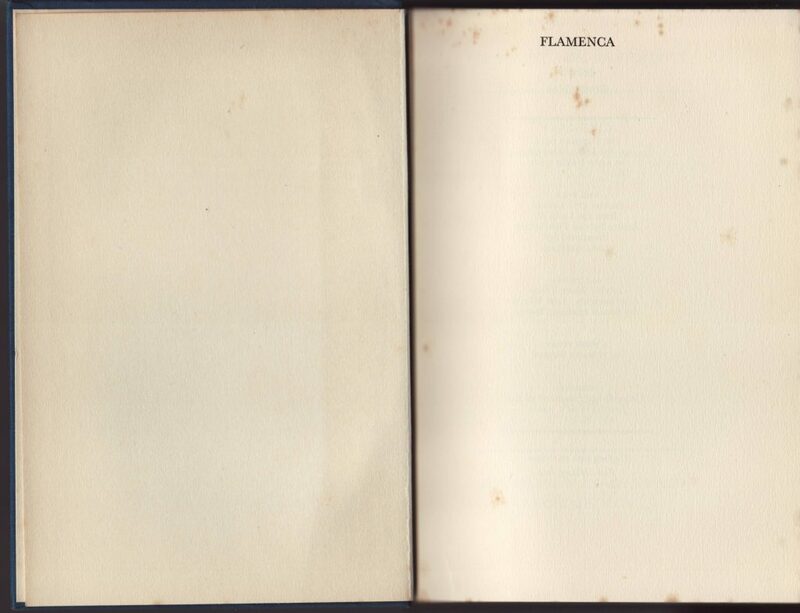 The front jacket flap is blank save for a price (5/- net). 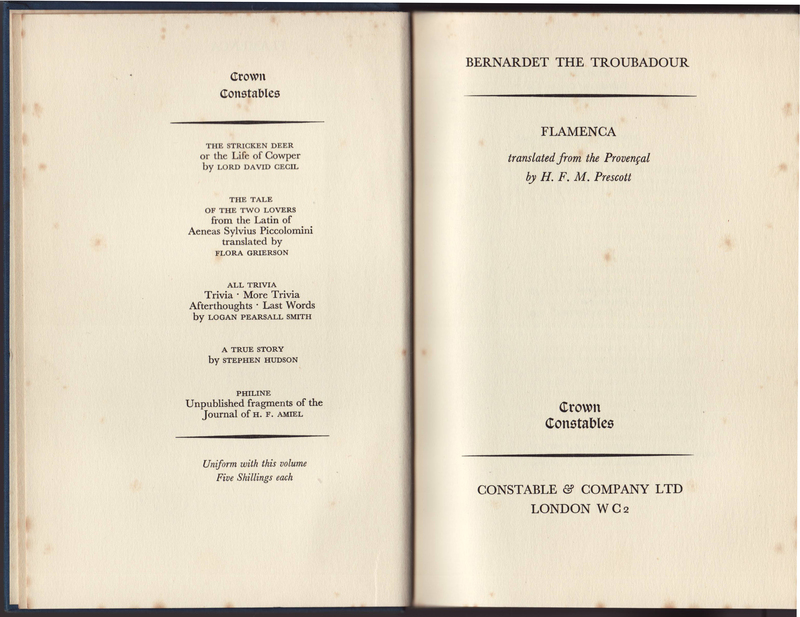 A list of five titles in the series faces the title page. 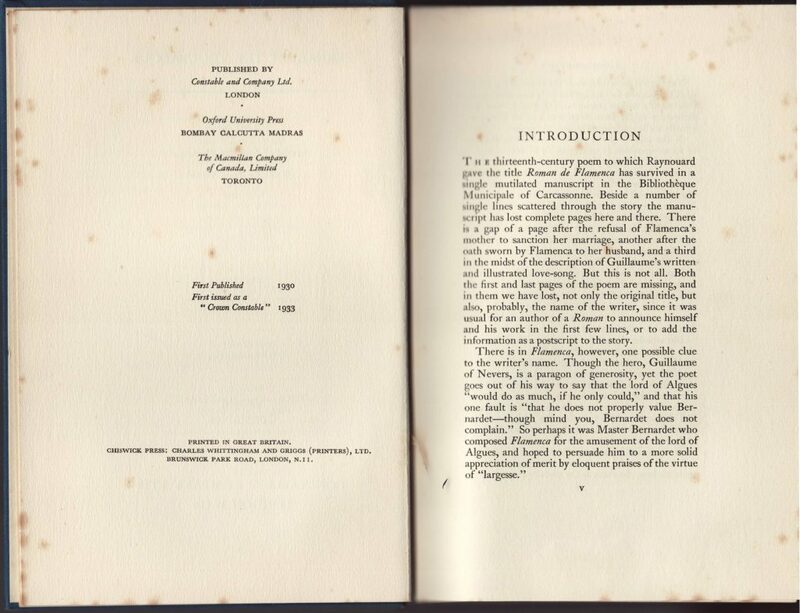 The series name is included on both pages, in script typography.